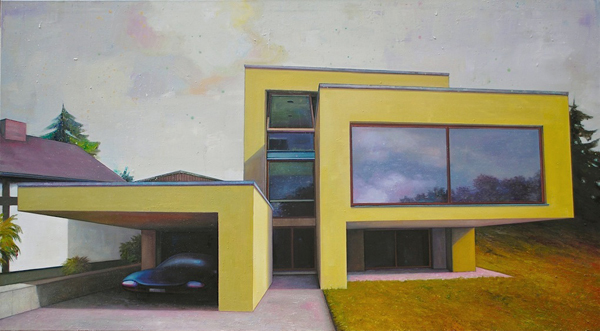 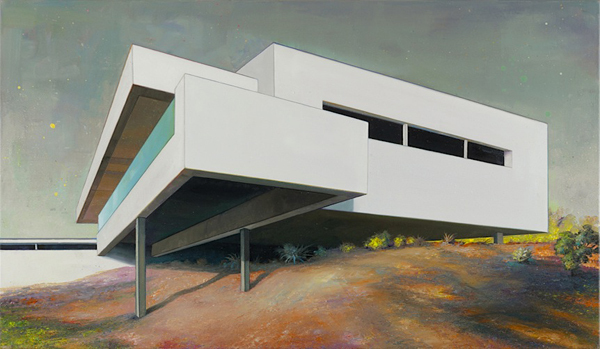 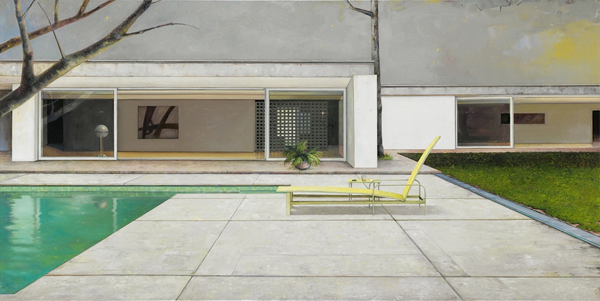 These beautiful architectural paintings by Berlin-based artist Jens Hausmann depict modern designs and the landscapes they inhabit in a unique and thought-provoking way. 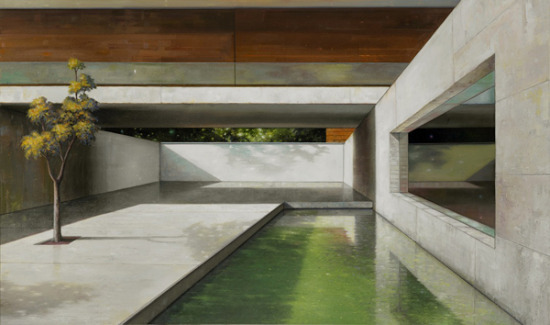 Though the imagery incorporates the stark, angular forms and heightened perspective of many computer-generated renderings we often see, these representations create a mood that evokes an emotional response. 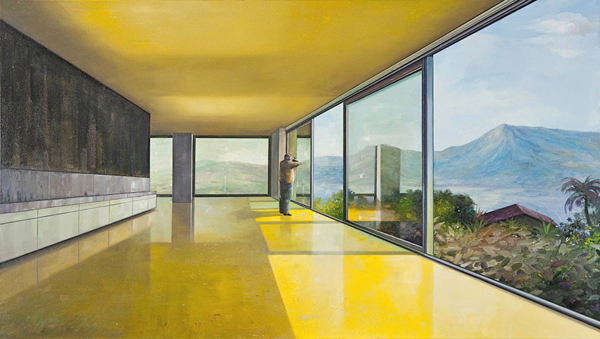 In a similar way, a distinct tone and sense of mystery is achieved through the use of paint as medium and the careful application of color within each composition. 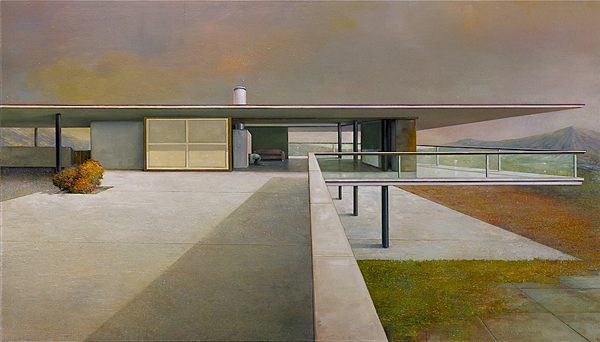 Whether your interests lie in architecture, art or the concept of the creative narrative, Hausmann's work is definitely worth a look; view more of his paintings and find further information at his website.